Take a 3x3 square with 8 border positions some of which are covered with pennies. If it isn't allowed to rotate or flip the pieces there are 256 different pieces which can be arranged in a 16x16 square with a completely covered border and matching edges otherwise. Sometime ago I solved the problem using a computer and later on I used the old slatted frame of our bed to cut the squares. 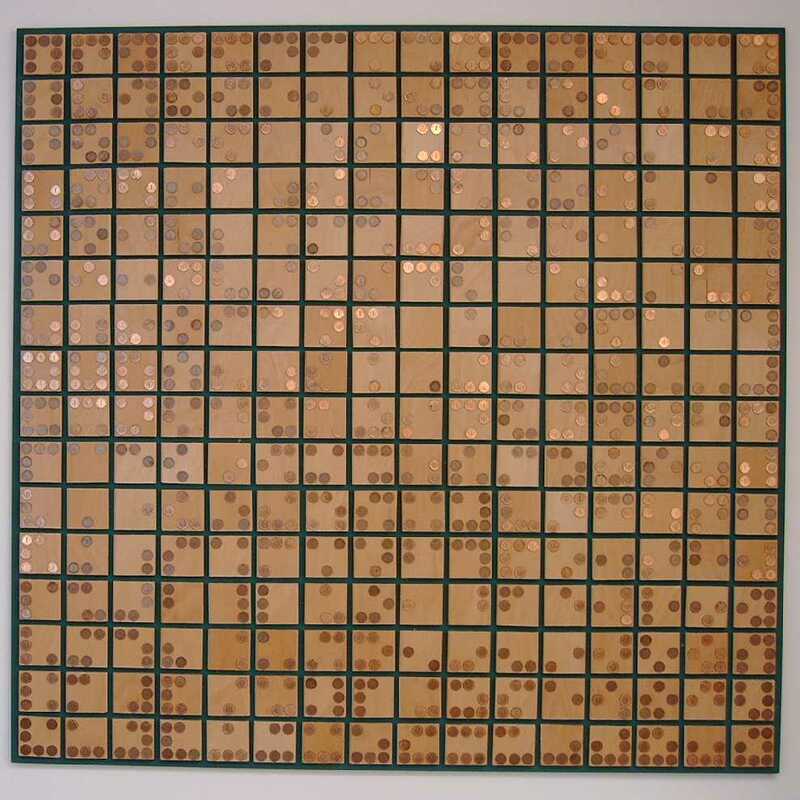 1024 pennies from the former German currency were easily stuck to the squares and the puzzle was finished. At last the pieces were fixed to the board according to the computer solution.